Check into one of these relaxing hotels, inns and B&Bs for a weekend of rest and rejuvenation. 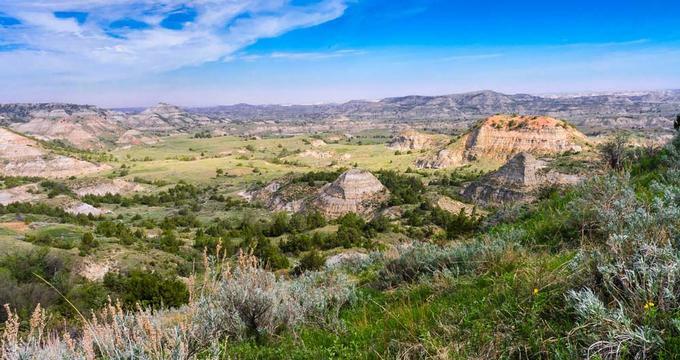 Whether your idea of a perfect trip is a country inn surrounded by nature or a city hotel with easy access to shopping, restaurants and museums, there are many great places to visit in North Dakota. Play a round of golf, go on scenic walks, treat yourself to a massage, swim in the pool, and have a romantic dinner tasting new flavors combined with delicious wine. Element Fargo offers a modern atmosphere for guests to enjoy. 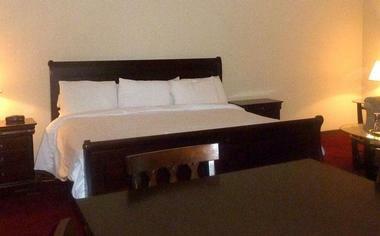 The spacious rooms include comfortable mattresses and linens along with a 48 inch LED TV and complimentary Wi-Fi. 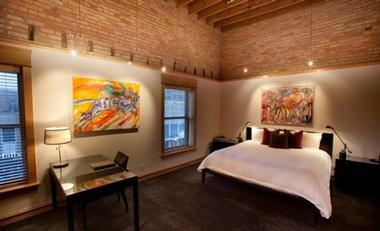 The rooms also have a full kitchen, large private baths, desks, temperature control, and an in-room electronic safe. A large multi-function lobby provides plenty of seating for guests to rest and enjoy a book or to interact with other guests. Outside of the lobby, a porch area with tables and chairs allows guests to relax and enjoy the sun and a pool area. The Salon Bar offers cold drinks in the lower lounge, while the Breakfast Bar provides a healthy breakfast that includes sandwiches, smoothies, and fresh fruit for guests to enjoy. 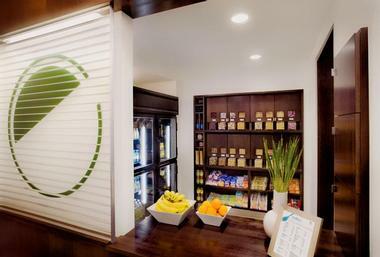 A gourmet pantry is also available for guests to stock up on snacks, beverages, and ready-to-go meals. Rooms start at $99 per night. The Dakotah Rose Bed and Breakfast in Minot provides guests with modern comforts in a Victorian style home. All six guest rooms are elegantly decorated with a vintage feel and comfortable linens. All rooms have cable television, bath amenities, coffee makers, and ironing boards, as well as mini refrigerators in two of the rooms. The Third Floor Ballroom offers a common area for guests to relax with HD TV as well as a DVD and Blu-Ray player, couches and recliners, tables and chairs, a refrigerator, a microwave, and even a phonograph with records. There is a lovely front porch with seating as well as a gazebo for those who want to enjoy the outdoors. A full breakfast can be enjoyed in the main floor dining room, along with sweet homemade treats and wine, champagne, or sparkling juice throughout the day. Other dining options can be found in town. Rooms start at $63 per night. 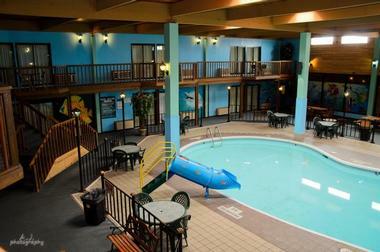 Gladstone Inn and Suites in Jamestown is located minutes from local attractions. With a total of one hundred rooms, there is plenty of space for small or large groups to stay. Wi-Fi access and cable TV are included in every room, along with a microwave, refrigerator, and a coffee maker. Guests can work out in the fitness center or relax in the indoor pool or hot tub. A game room is also in the building and available to the public. 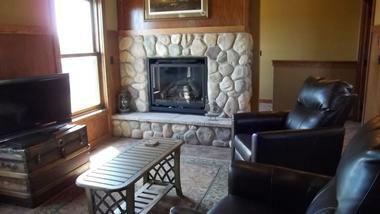 Shady’s Lounge offers a place to relax with a favorite beverage or use the pool table or dart board. Shady’s Restaurant offers meals throughout the day for when guests want to grab a bite to eat. For those looking to enjoy what the area has to offer, the National Buffalo Museum, Fort Seward Wagon Train, and The Arts Center are all located close to the inn. Lakeview Meadow in Jamestown is the perfect spot for a quiet vacation, whether it’s for a couple or a family. All of the cabins are designed with comfort in mind and include luxurious items such as a gas fireplace, air conditioning, and linens, as well as an HD flat screen TV with satellite. The cabins feature a fully equipped kitchen with cookware and dinnerware. Baseball diamonds, golfing, skiing, and fishing can all be accessed on the grounds. There are also other sports nearby the grounds, including mountain biking and disc golf. Guests may bring and cook their own food in the full kitchen within their cabins. If guests wish to eat at a restaurant, they may travel to the two towns nearby. Weekend getaways in the Midwest: Ohio, Indiana, Iowa, Wisconsin, Michigan, from Chicago, from Minneapolis, Nebraska and Missouri.